The paper is 290 gsm thick. Ideal for instant dry for dye and pigment printers. Ilford Galerie Smooth Gloss Paper has an ultra glossy surface and offers 'instant' drying. A unique film base gives this media the look of traditional color prints. Colors are vibrant with real depth for the highest quality professional photo look. 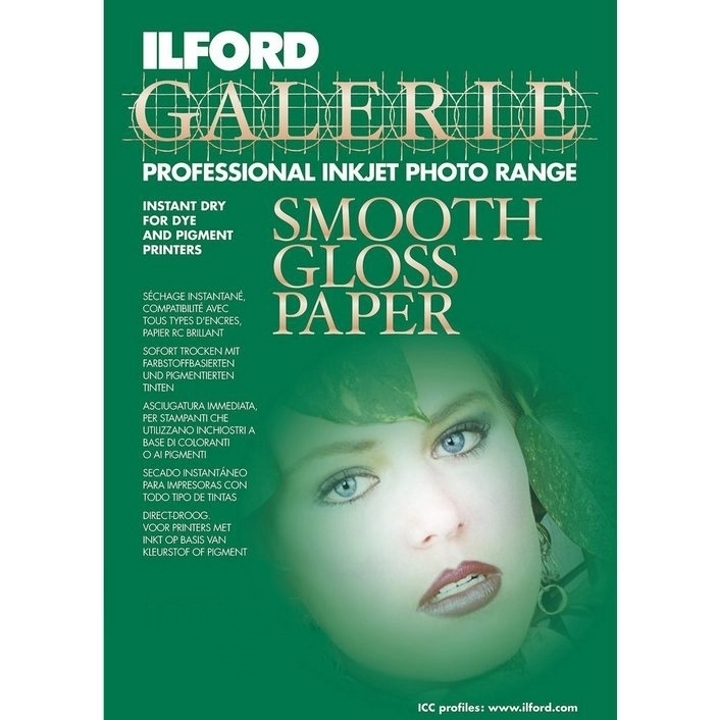 Ilford Galerie Smooth Gloss Photo Paper is perfect for printing professional quality photos, signs or posters. 290 gsm thick and is designed for instant dry for dye and pigment printers.